The recession has caused a steep decline in housing prices New Hampshire. Many homeowners have seen a huge drop in the value of their house. This has resulted in a severe loss of home equity, which commonly resulted in proceeds from the potential sale of the home not being sufficient to pay any of the balance of a second mortgage. If you saw your home value plummet and have struggled to pay the two mortgages on a home that is not worth as much as you owe on the first mortgage, there may be help. One way to ease the burden and gain back your financial footing is to eliminate your second mortgage. Many people may not realize that there is a way to eliminate their second mortgage if they file for a Chapter 13 bankruptcy. If the first mortgage on your home exceeds the value of the property, you may be able to void your second mortgage upon obtaining a Chapter 13 discharge. In other words, the second mortgage may qualify as unsecured debt that can be discharged, like credit card debt or medical bills. There are other options for those who do not feel their circumstances warrant filing for bankruptcy right now. Qualifying for a loan modification can help reduce the payments of your first or second mortgage. This could help free up cash flow to assist with balancing your household budget. The biggest mistake homeowners make is waiting too long to seek help when they are struggling with their mortgage payments. The sooner you speak with a skilled bankruptcy attorney about your options, the sooner you can be back on the road to financial security and stability. As a homeowner, you can’t control the economic climate and how it affects your home’s value. However, when that drop in value and hard financial times affect your ability to pay that mortgage, we can help. 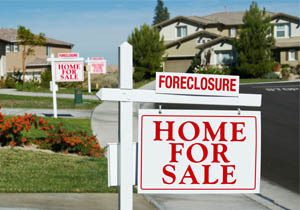 Call Attorney Kelley to see if you have the option of eliminating your second mortgage with a Chapter 13 bankruptcy. Contact attorney Kelley for a free consultation.